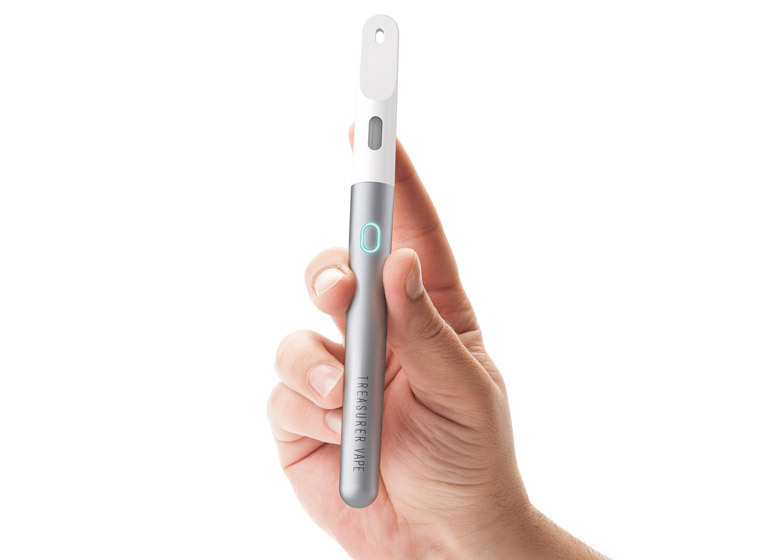 Product design consultancy Mormedi has created an electronic cigarette, which they hope will become like a "personal accessory similar to a pen" for users (+ slideshow). 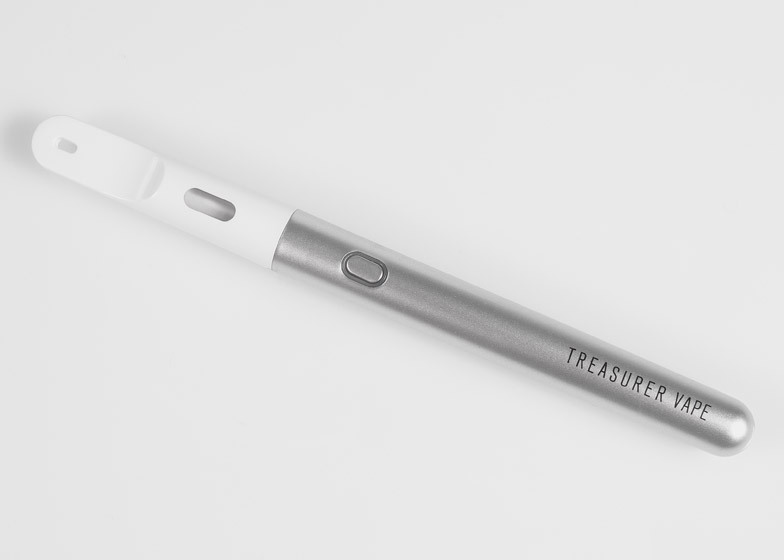 The e-cigarette, named the Treasurer-Vape, has been designed for Swiss company Nexvap. The battery-powered device produces a vapour that users inhale as an alternative to smoking cigarettes. 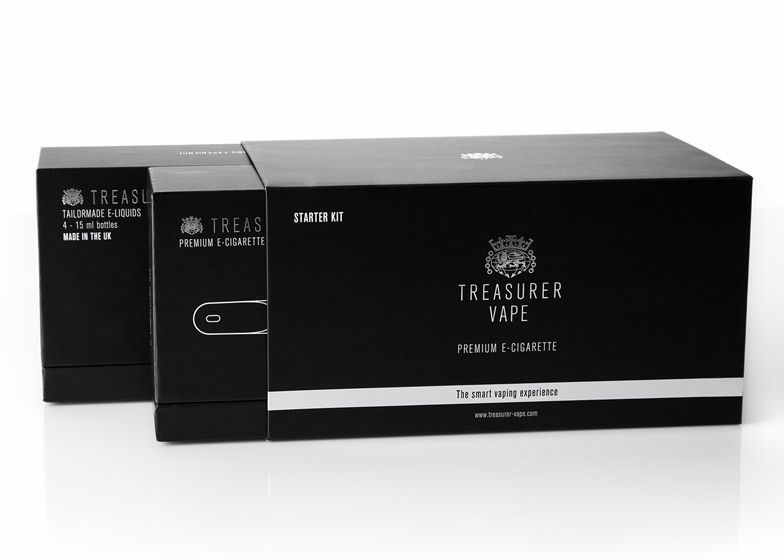 Treasurer-Vape comes as a complete starter kit, featuring a selection of four flavoured nicotine liquids, which are used to create the vapour, as well as a protective case and an internationally compatible USB charger. "Current e-cigarettes on the market lacked basic usability and aesthetic quality leading to errors in how users were filling the liquids, which in turn leads to potential misuse," Mormedi's creative director Jaime Moreno told Dezeen." 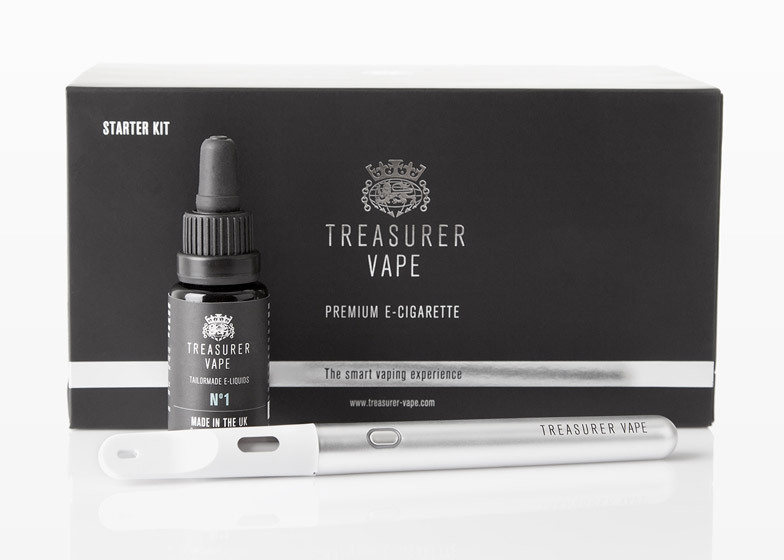 He added that his company aimed to create a "premium e-cigarette experience" and described the Treasurer-Vape as a "high-end and high-quality product supposed to last a long time and become a personal accessory similar to a pen". Housed within the plastic mouthtip, an internal cartridge can be filled with one of the liquids – known as e-liquids – which is atomised by a heating element to create the vapour. The tip attaches to the metal stem via a magnetic clip, so it can easily be removed for refilling. 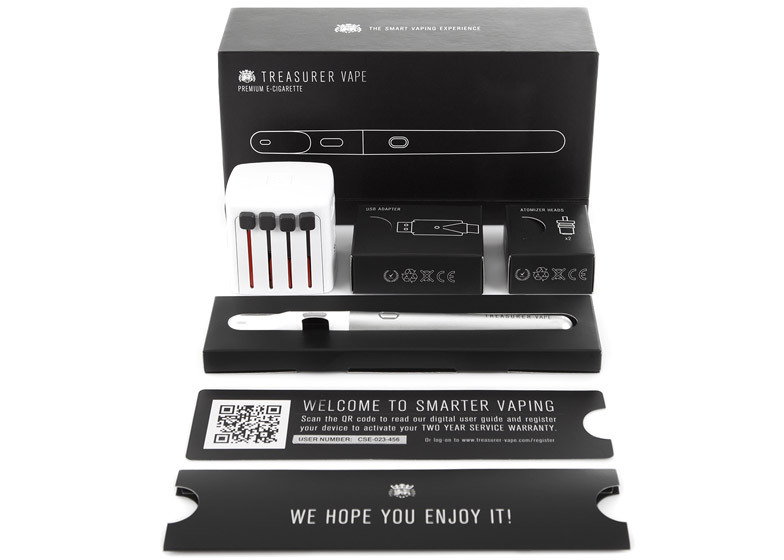 "Treasurer Vape is discreet, elegant and intuitive to use, and provides a delightful and smarter smoking experience," said Moreno. 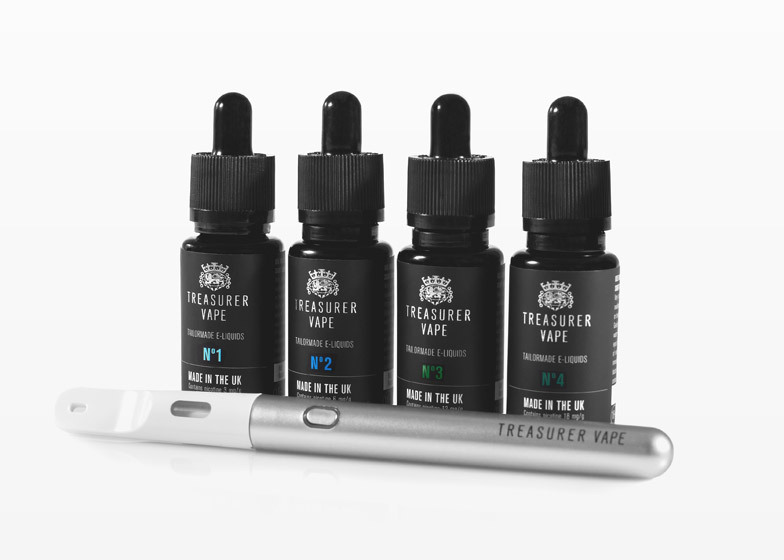 The four e-liquids are stored in small dropper bottles with pipette lids to make the refill process more discreet when used in restaurants and other public spaces. Mormedi's field research for the project included the testing of major e-cigarette brands, visits to retail stores and interviews with e-cigarette smokers conducted in Spain, Switzerland and France. "The design guidelines were based on discretion, ease of use, attention to detail, hidden technology, seamless, visual simplicity and the development of a smooth surface," added Moreno. The e-cigarette and liquid bottles come with a protective casing made from a high-end leather. 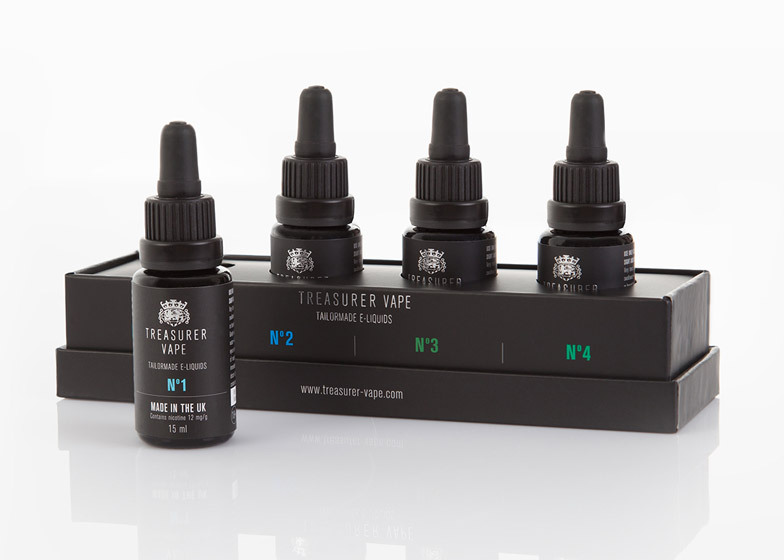 Mormedi also designed the branding and the website for the Treasurer-Vape.